I've taken hundreds of Cinderella Castle photos over the years. However, this was a "first." 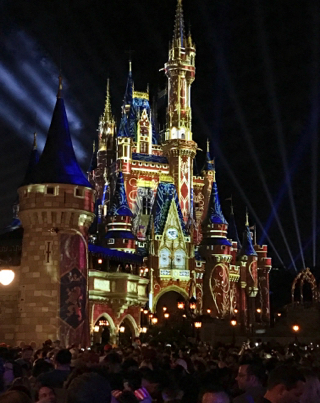 I took this shot right after the new Happy Ever After fireworks show ended. The details in the projected images and patterns is incredible.